Before we begin looking at this group of siblings I would like to fill you in on some background information. I would like to do a brief run through of some important dates, in the history of Christianity and theology to frame in these 3 authors. 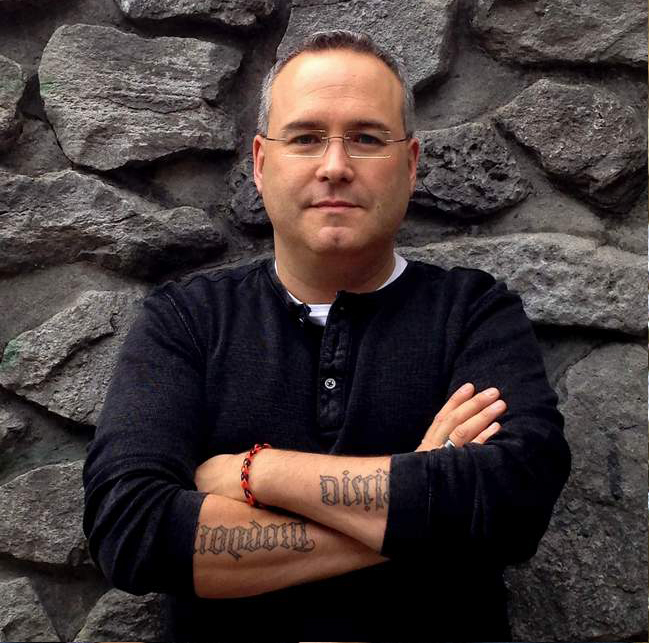 So our three siblings grew up in troubled and turbulent times in the church and society. Even though the issue of Christology was to have been settled at Nicea the Arian Heresy was still going strong. We also need to remember that the 3 Authors were relatives and close relatives. As can been seen in this quote from Platcher's A History of Christian Theology: "Basil and Gregory came from a remarkable family. Their sister Macrina may have been its most powerful personality. She devoted herself to the ascetic life, shamed Basil out of his youthful pride in his oratorical abilities, and confronted Gregory on Basil's death. 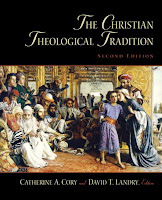 Gregory's own account of her own deathbed conversation portrays a woman of deep piety and a formidable theological learning" Furthermore Cory & Landry in their writings The Christian Theological Tradition: Second Edition refer to the three Cappadocians Fathers as being the Vanguard of defense of Nicea even fifty years after the fact. The third being Basil's and Gregory's friend Gregory of Nazianzus, Cory and Landry state: "The Clarification of the original creed of Nicaea reflects important theological advances made by Basil of Caesarea (330-79), his brother Gregory of Nyssa (331/40-395), and Basil's friend Gregory of Nazianzus (c. 329-390). These three are often referred to as the Cappadocian Fathers, because the came from the central region of Asia Minor." Thus we see that they were central to the issue of Christology. I will now endeavor to give some views on the major contributions and issues the brother's addresses, and then move on to an analysis of our specific texts. 330-379. Basil from the time of his election to the role of Bishop was a tireless worker for what he believed in, "Once elected Bishop of Caesarea, Basil worked to reconcile West and East, 'old' and 'new' Nicene's, in the struggle with Arianism." He also fought against two new heresy's the first, that the Holy Spirit was not fully god. And the second that the Father and son were unlike in nature because the son was generated and the father not. So we see that Basil's focus was threefold. Basil's life and teachings focused on a three fold concern: Comby in his work How to read Church History: Volume 1 sums up Basil's focus this way: "the organization of charity during a period of frequent famine (he set up a relief city); the organization of community living the monastic life (he composed Major and Minor rules); and a concern to orthodoxy in a period troubled by the Arian disputes." In this regard Basil's brother continued his work. Gregory of Nyssa 335-395. In A History of the Christian Church: Fourth Edition, it is put forth this way: "The second of Basil's associates was his younger brother Gregory of Nyssa. … but he surpassed both Basil and Gregory of Nazianzus in theological depth and penetration. His extensive writings, which mostly came from the period after his brothers death, when Gregory took up his pen to defend and develop Basil's teaching," By the time of the Council of Constantinople and in the East and the Council of Aquileia both councils stood against Arianism in the year 381. Gregory of Nyssa wrote the following about the debates and struggles leading up to this council in his Theology in the streets, "Every part of the city is filled with such talk; the alleys, the crossroads, the squares, the avenues. It comes from those who sell clothes, moneychangers, grocers. If you ask a money changer what the exchange rate is, he will reply with a dissertation on the begotten and unbegotten. If you enquire about the quality and the price of bread, the baker will reply: 'The Father is greatest and the Son subject to him.' When you ask at the baths whether the water is ready, the manager will declare that the son came forth from nothing. I do not know what name to give this evil, weather frenzy of madness…"
These theological debates had ramifications on day-to-day life. I have heard that there were even brawls in the streets on the issues of Christ and the Holy Spirit. So with this in mind let us return to our text and examine our three authors. In this excerpt attributed to Macrina the themes that I perceive, as most dominant are the nature of sin, justification and eschatology. Particularly the renewal within a person's soul here on earth and that renewal ultimately as seen at the top of page 89 "the reconstitution of our nature in its original form" and this particular line repeats itself more than once in this piece. And again in the final paragraph "the Apostle tells us, to consist in incorruption and glory and honour and power" And also the last part of this paragraph focus on both the grace and power to live now, and for the glory to come. Long considered the father of monasticism in the West, this excerpt focuses on life in community. From the text we see that the focus in this excerpt of Basil's writings is on Community, or Communion of the Saints. 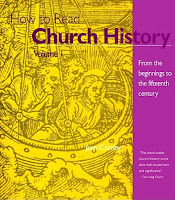 In the introduction to our text Tyson states: "Eucharistic fellowship with Christ unites many individual members of the church ('though we are many') in 'the cup of blessing,' and forms them into 'one body' (1Cor 10:16-17)" paraphrasing this passage from first Corinthians our whole excerpt is an expansion of this passage. In our first paragraph "My reasons are, first, that no one of us is self-sufficient…" We see here that Basil believed we needed others to help us in our walk as Christians. Further down he states that we were created to need the help of one another. This focus on unity and interdependence of the communion of saints of the Christian community is the focus of the whole work. "Besides, if all we are united in the hope of our calling [Eph 4:4] are one body with Christ as our Head, we are also members, one of another [1Cor 12:12]". We see that as Tyson outlined above is an echo of Basil's thoughts here written some 1900 years earlier. He also goes on to focus on the fact that the grace/gifts the Holy Spirit appropriates to each of us are to be used for the whole. In community our gifts bless others, alone they are only of use to self. Which is not the way Basil interprets the Christian life. If we use our gifts in community our gifts are used for all. He also states that community life offers more blessings. Thus we see his focus on Communion of the Saints as a tool to enhance our individual spiritual lives, but also as a mean's of obedience. We now come to the youngest member of this family, though by no means the least. As far as actual records we have more attributed to Gregory then either Macrina or Basil. Yet from the research done and the introduction to this talk, we see that his work was often and extension and fulfilling of things begun by his siblings. In this series of Excerpts from The Life of Moses we have a group of snippets on how Gregory of Nyssa interprets Moses life of servant leadership as a primary example of how Christians are to life. The area's that it focus on are, The nature of God, the quest or personal journey of growth, and serving, as a way of growing in Christian maturity and into friendship with God. On page 95 the second paragraph focus on the nature of God, and how we should desire to pursue the good, the virtue that is God. The 4th paragraph on this page focuses on the command to be perfect as God is perfect, and this pursuit or quest for perfection is done through the growth of good. At the top of page 97 there is proposed the idea that this perfection or good life is offered to all, but some choose to continue to walk in darkness. The final section entitled 'The Servant of God' focus's on that Moses attained and how we too should be striving forward to attain those same virtues and good life, the ultimate of which is to be considered God's friend or the servant of God. This is seen in the bottom paragraph on page 97 the argument being one called 'the servant of Yahweh' is so because he has risen above the world. Then the second paragraph on page 98 focus's on the fact that all Christians have been called to serve, to live for others. And finally in the concluding paragraph, we have to command to apply what we have read from Moses life to our own life. So that we can be worthy of the name and honour of being called God's friend, that we seek and Quest for the life of perfection.